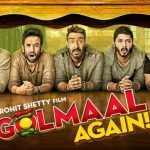 Year’s one of the highly awaited Hindi offerings Golmaal Again has been released on Friday. Being the fourth installment of popular action comedy franchise, it has huge buzz among fans as well as audience and as expected witnessed fantastic opening at domestic box office. 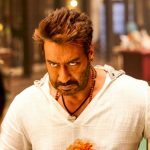 Alongwith the regular lead cast that includes superstar Ajay Devgn, Arshad Warsi, Tusshar Kapoor, Shreyas Talpade and Kunal Khemu, Golmaal Again also stars Parineeti Chopra, Tabu and Neil Nitin Mukesh as an addition. Directed by Rohit Shetty, the new installment has completely different story which is being liked by everyone. The movie made good impact over audience with it’s promos and music, due to which it was expected to receive tremendous response at box office after the release. Fortunately the movie is getting positive reviews from critics as well as audience, that turns the wind in it’s favor. 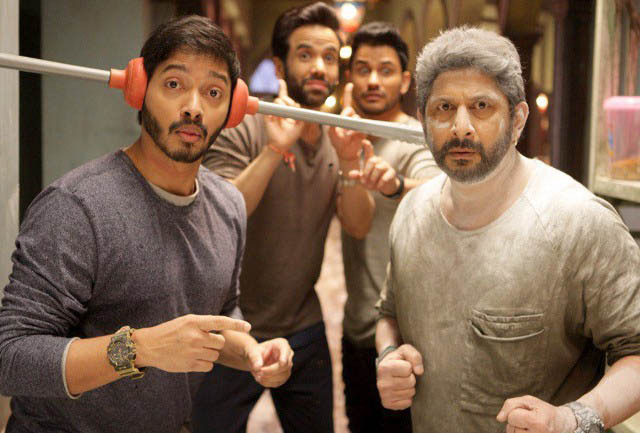 On the opening day, Golmaal Again started the journey on a better note than expected with overall 70% of occupancy across the country on approximately 3500 screens. With usual growth over the evening and night shows, it raked the opening business of 30.14 crores despite having Secret Superstar in opposite. 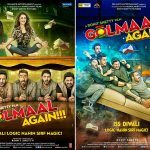 With this, Golmaal 4 has emerged as the highest opener of 2017 so far in Bollywood by dominating previous biggies like Tubelight (21.15 crores) & Raees (20.42 crores). This Reliance Entertainment’s presentation is getting fabulous response on single as well as multi screen cinemas, due to which it is positively expected to cash the festive weekend thoroughly.